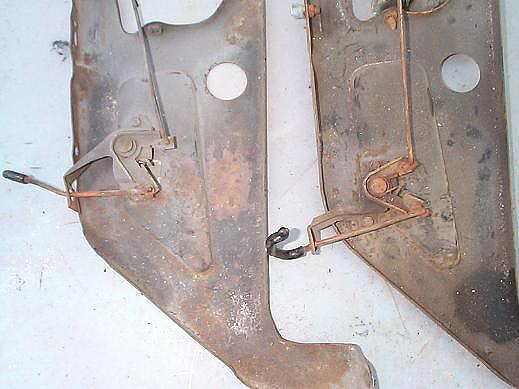 Here are two hood latch/grill supports for 70 and 71-2 Skylark/GS models. The 71-2 versions are the same and is pictured on the left. 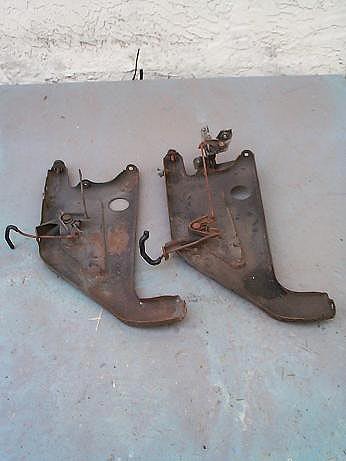 The 70 version is on the right. Notice the hood release handle position difference. The 70 front bumper sits lower in the front and requires the hood release handle to sit lower. The difference is 2". 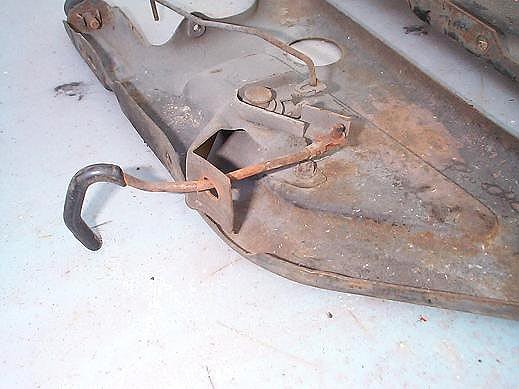 You can not use a 71-2 version on a 70 car because the release handle will rest behind the bumper and will not be able to release/open the hood. Here is a close-up. 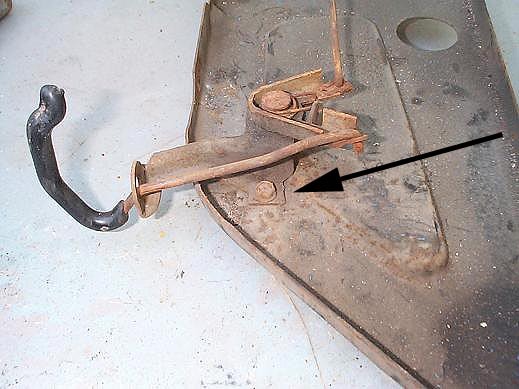 The handle actuating rod from the release handle mechanism to the hood latch is longer on the 70 version. 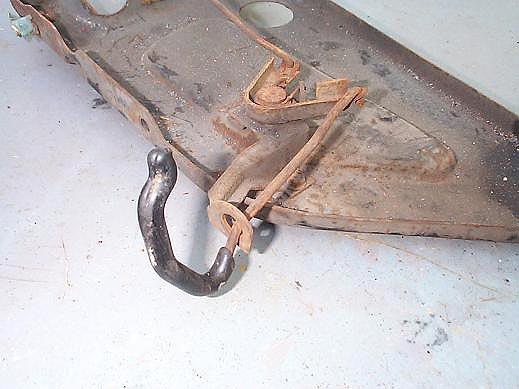 Close-up of the 71-2 release handle. Here is the 70 version. Notice the postion of the lower screw location indicated by the arrow. You can not interchange the handle mechanism from this 70 version to 71-2 because it will not sit flush on the mounting surface. Here is the 71-2 version. 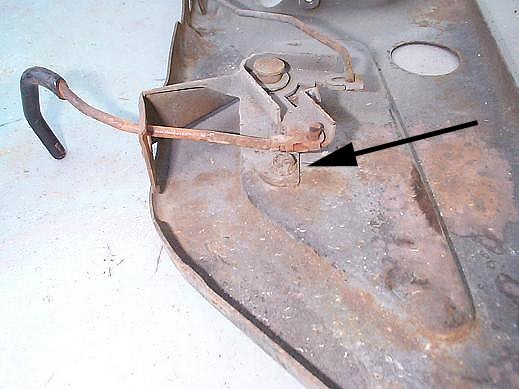 Notice lower screw location indicated by black arrow.